We have just released our guide for the fourth boss encounter in the Heart of Fear raid instance, Wind Lord Mel'jarak. This is a very fun and very challenging encounter, where personal experimentation and creativity on the part of the raid is very important, so we'd definitely love to hear your experiences more than ever. Also, keep in mind that this guide (as all Heart of Fear guides at the moment) is based entirely on Beta experiences, and may end up varying on live servers. We will update the guide as soon as we learn of any differences. The next two boss guides should follow over the next day or so. Our Transmogrification guides have been updated for Patch 5.2. This means that all the new items from Patch 5.2 have been added. We also added the Tier 15 and Arena Season 13 sets, as well as the Challenge Mode armors. Finally, Arena Season 9, 10, 11, and 12 sets are now obtained slightly differently than before, so the guides were updated to reflect that. For our Patch 5.4 update, we will work on getting our model screenshots from the WoW Model Viewer, so that we can give you the option to display the models the way they look for female characters as well as for characters of all possible races. 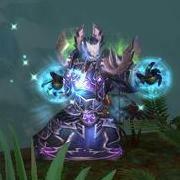 We may even be able to show items the way they will look in Shadowform. Naturally, any feedback will be greatly appreciated! Also, all our class guides have been updated for Patch 5.2. There may still be a few stat priorities to tweak, but we will be working on them in the next few days. Our BiS listings are not updated yet, but that will come soon. We have just released our guide for the Council of Elders, the third boss encounter of the Throne of Thunder. Also, Priest and Warrior guides have been updated for Patch 5.2 (with the exception of the gear pages, which will be updated later on). Today, we released two new guides for Patch 5.2: Isle of Thunder and Horridon. The Isle of Thunder is a new area introduced with Patch 5.2. The guide we wrote for it is the most comprehensive and longest article we have ever published. That should say something about how much there is to do there. Horridon is the second boss of the Throne of Thunder. We should have released it much earlier, but we had a few schedule issues that prevented us from properly working on it until today. Our guide to the fight against the Twin Consorts has just been released. Next, we will release a guide for the Isle of the Thunder King event, and then guides for Horridon and the Council of Elders.